As per usual, I got sidetracked. 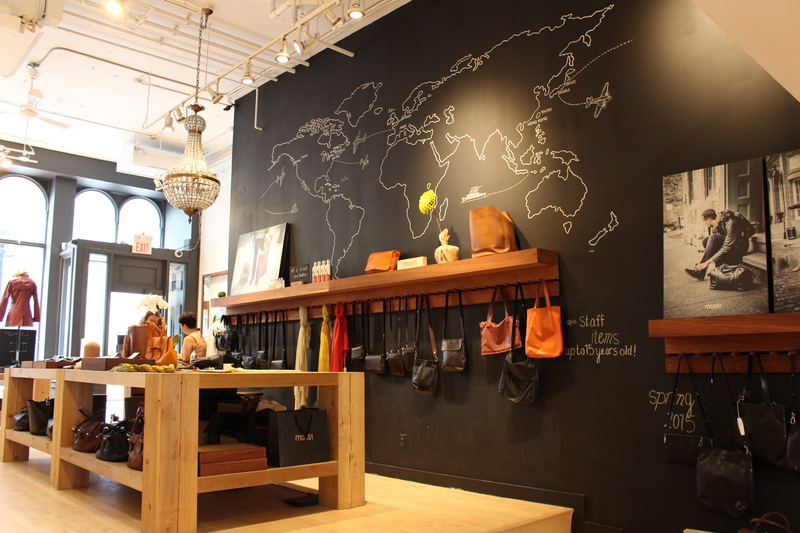 m0851 caught my eye – a gorgeous, modern yet warm leather goods boutique that I had read about and seen online, but never had a chance to visit. I thought “Why not?”, and headed on in. I was struck by the store’s beauty! It looks deceivingly small from street level, but is quite large inside. 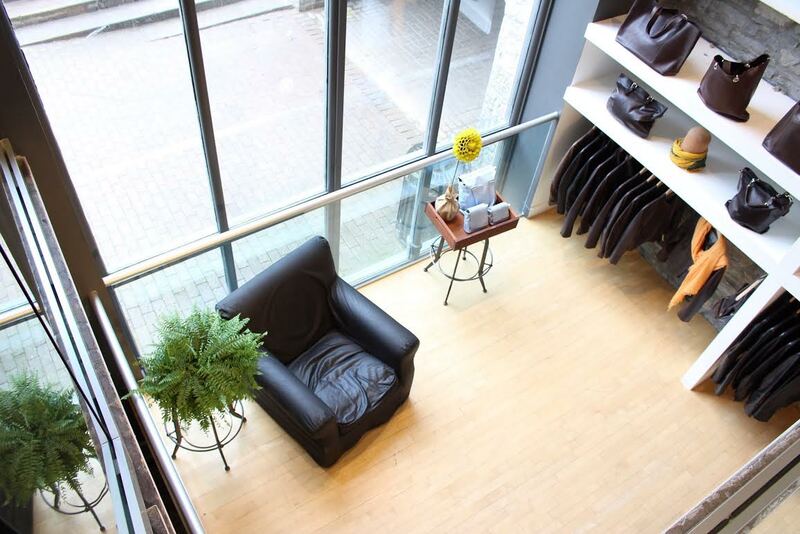 Bright light filtered in from the large floor to ceiling windows at the back of the store, highlighting the warm, caramel and honey tones of the hardwood floors and fixtures. I must have looked crazy as I stared at this interior design gem with a slack-jawed look on my face. 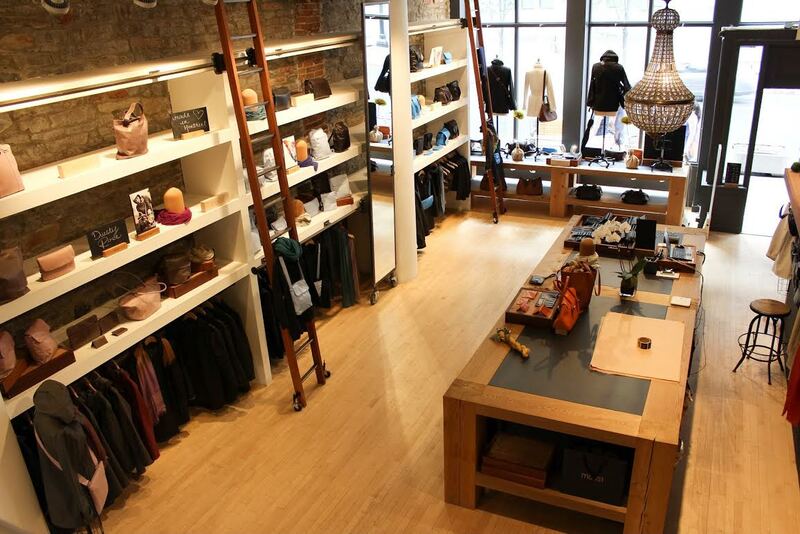 Thankfully, the store’s stylish and knowledgeable manager, Marisol, laughed and nodded at me in understanding. I had to take some shots of this store…I’m a sucker for beautiful boutiques. I blame this little obsession on my visit to the Prada location in SoHo, NYC (a must-see also). 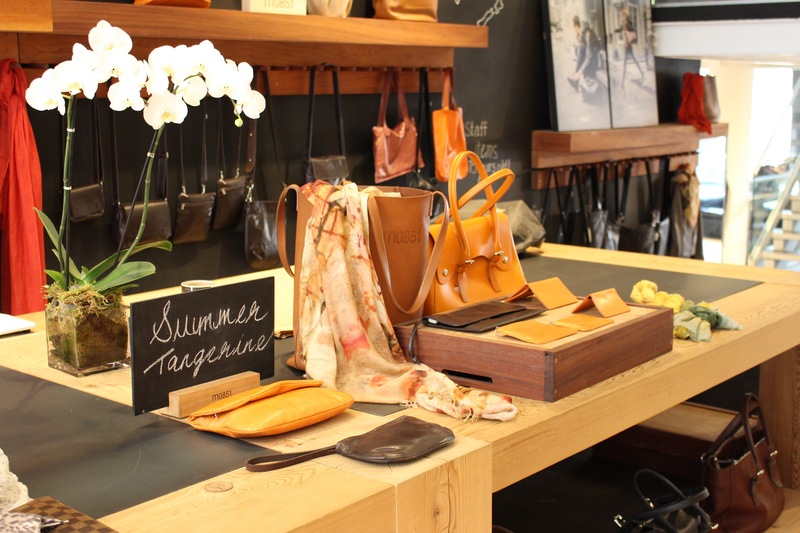 m0851 is a Canadian company based in Montréal that designs and locally manufactures top quality leather bags, accessories and outerwear for men and women. This fresh, modern brand has an active and urban feel that is right up my alley. With 22 concept boutiques located around the world in Montréal, Toronto, Vancouver, Calgary, New York, Paris, Antwerp, Hong Kong, Osaka and Tokyo, m0851 delivers highly covetable, luxurious calfskin leather goods ranging from cross body purses, totes, overnight bags, leather jackets and various clothing items made of silks, cashmere, high-tech fabrics and top-grade cotton. 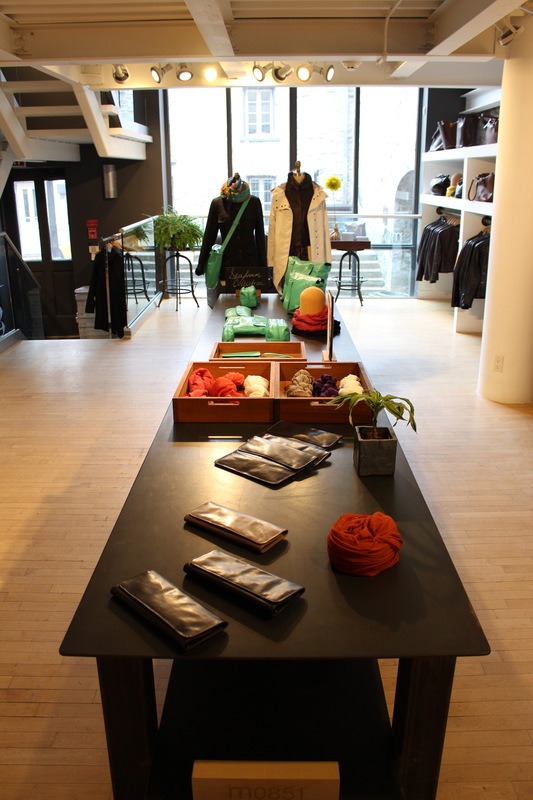 Best of all, all items are conceived and crafted in their Montréal workshops. I purchased a bag from m0851 over 10 years ago when it was known as Rugby North America – a gorgeous black, calfskin messenger that I cherish. This bag was the first “designer” purchase I had ever made, and I remember saving for it for weeks. I still use it regularly and true to form, the leather has only gotten better with age. Since m0851 took over Rugby North America, the leather, craftsmanship and designs have only gotten better. 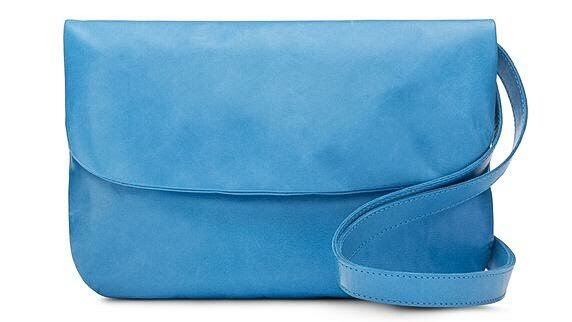 Currently, I am eyeing this azure blue crossbody purse which will be perfect for the summer season. Can’t wait until it’s mine! Actually, I wanted everything in the store. Might as well put that out there. 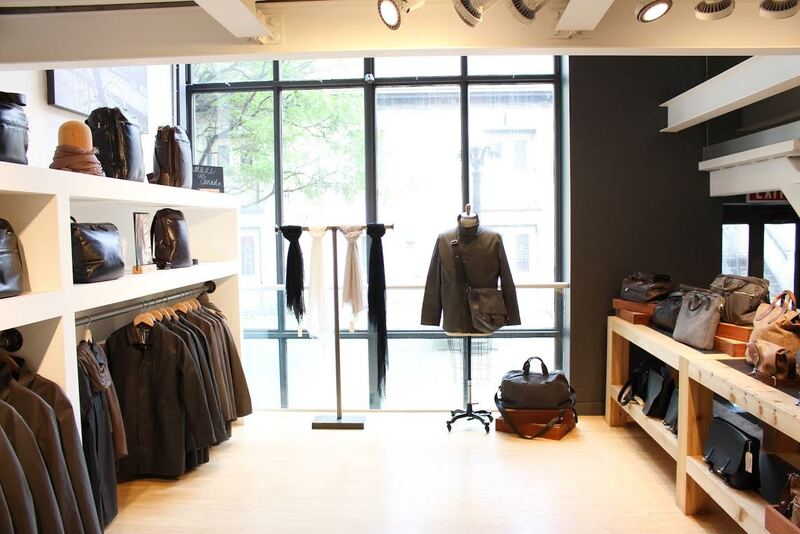 Go ahead and check out the m0851 website at www.m0851.com or if your are in Ottawa, stop by the beautiful boutique located at 531 Sussex Drive. A huge thanks to Marisol for allowing me to photograph this gorgeous boutique!